Becoming a professional private investigator is an ideal opportunity for many Police and Military personnel leaving the Service who have a wealth of skills and experience together with leadership qualities, and the ability to get things done, all of which are extremely beneficial in becoming a professional private investigator. However, police officers deal mostly with criminal matters whereas private investigators deal mostly with civil matters of which police officers have little experience. It is of course also an important factor to have the necessary basic knowledge of the industry. With the forthcoming licensing of the UK private investigation industry when it will be necessary for all applicants applying for a private investigators licence to be able to prove competence in all the core units as specified by the Security Industry Authority (SIA). More information can be found on our website www.pi-academy.com. 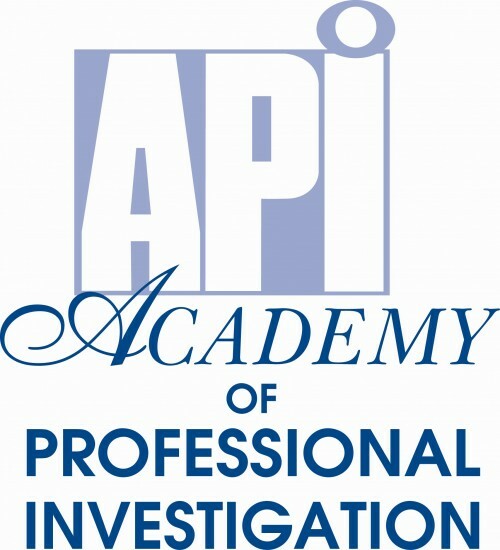 The Academy in conjunction with Industry Qualifications, being a UK Government Qualifications Awarding Body, have developed the IQ Level 3 Certificate in Principles of Professional Private Investigation (RQF) regulated by Ofqual which has been designed primarily for those people who have little or no previous private investigation experience, knowledge or qualifications. This Nationally and Internationally recognised qualification in professional private investigation consisting of 12 modules, 5 units and 240 hours of learning does not, as a distance learning course, require the candidate to attend a school/learning centre even for the final examination which is invigilated via skype in the students own home. At the end of each module the student will need to complete a questionnaire and when all 12 modules have been completed the student will then sit the final examination; the pass mark being 70%. On the successful completion of the examination IQ our awarding body will issue the Certificate. The training material for the course is provided online and is based on British Law. Being proficient as a private investigator requires knowledge and experience. Although, not a substitute for personal experience the course will provide the necessary under pinning knowledge together with the fundamental know-how of both the operational and business aspects of the profession which will undoubtedly increase the student’s opportunities of obtaining employment within the investigation industry or indeed starting and successfully running their own private investigation business. The time required to complete the course will very much depend on the amount of time and effort that the student is willing to devote. Normally students studying on a part time basis will take three months to complete the course. However, the Academy has had students; mostly ex police officers who have studied on a full time basis, complete it within six weeks. As a student your tutor will always be available to support you with anything that you do not understand. The cost of the online IQ Level 3 Certificate in Principles of Professional Private Investigation (RQF) is £652 which includes the IQ course registration, examination and certification fees. The Academy’s current special offer of purchasing both the online Level 3 Certificate in Principles of Professional Private Investigation (RQF) and the IQ Level 3 Award for Professional Investigators (QCF) courses at the same time which will save you £192.00 the details of these and more information about the Academy are on the website. The IQ Level 3 Award for Professional Investigators (QCF) is for those people who work or would like to work as professional investigators and obtain an SIA private investigator license. It is primarily a test of proof of competence consisting of 2 units and 39 hours of studying. It is also a requirement for the candidate to sit an examination consisting of two 45 minute papers at an approved centre such as those provided by the Academy; the pass mark being 70%. The cost of the IQ Level 3 Award for Professional Investigators (QCF) is £350.00. Under the SIA’s current guidance it will be mandatory to hold a licence to work as a Private Investigator. For those candidates leaving the Armed Forces the Academy is a Ministry of Defence (ELCAS) Approved Learning Provider. If you have served in the Armed Forces in the last ten years you might well qualify for an ELCAS/Enhanced Learning Credits grant. Please visit www.enhancedlearningcredits.co.uk for more information. Or for those Ex-Service Personnel who have served over a longer period the Royal British Legion Attendance Company Trust (RBLACT), a Military Charity can provide funding of up to £3000.00 in a matter of days at any stage of their life. Contact the Royal British Legion 0800 160 1943 and ask about RBLACT funding. To enrol, simply go online and choose the course or courses that you wish to enrol on and use the secure hosting facility for payment. Enrolling on both the IQ Level 3 Certificate in Principles of Professional Private Investigation (RQF) and/or the IQ Level 3 Award for Professional Investigators (QCF) is a solid investment in your future and could prove to be one of your best decisions in providing an opportunity of achieving a high level of job satisfaction in a wide range of activities, leading to an exciting, rewarding and adventurous career. If you enrol now on the course you will be eligible for the special offer discount of £560 and save £92.00. Having completed the course you might well wish to consider joining WAPI, The World Association of Professional Investigators www.wapi.com. Being a member will also provide you with worldwide networking opportunities amongst the thousand e-group members in the UK, Europe and indeed around the world. Stuart Withers who founded the Academy 1997 says “becoming a professional private investigator is an ideal opportunity for many Police and Military personnel leaving the Service as long as you have the knowledge to do the job, which you will get by completing the course, all you need is a laptop, a phone and a car. Then you are up and running. You don’t particularly need an office either, as most PI’s work from home and an annual turnover can be anything from £50.000 – £150.000 depending on how many assignments you want to take on. Being your own boss, with plenty of variety and choosing your own hours, makes it an exciting, rewarding and adventurous career choice”.